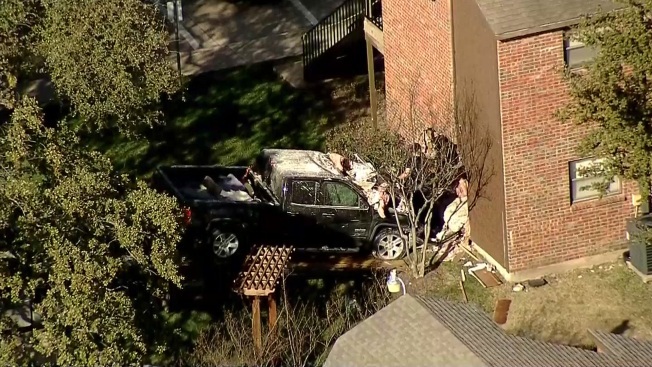 Dallas police were on the scene Tuesday after the driver of a GMC truck lost control and slammed into the side of an apartment complex. The accident occurred in the 3800 block of South Beckley Avenue at the Overton Park Apartments. The driver of the truck was transported to a nearby hospital, and there was no immediate word on his condition. No one else was hurt.